McCurdy Electric offers you a complete solution for your intrusion alarm needs. As with many new products today, wireless is where it’s at. A wireless security system translates to savings for you, because there is less installation time, less drilling required, less wiring installed, and less overall intrusion to your home’s structure. Home is Where the Heart is. With the hectic pace that modern life brings you, now, more than ever, your home is a haven, a refuge from it all. Home. There’s no place like it. And at the heart of a home is family. You want to do everything you can do to keep your family safe and secure – everything you can do to protect what you value most. A security system from McCurdy Electric keeps a watchful eye on your family and other valuables when you are home and when you aren’t. It is one of the most important investments you will ever make. Superior Protection. Complete Security. With a new Wireless Security System installed by McCurdy Electric, you can be assured that you are receiving the finest home security system on the market today. With a wide range of complementary security devices, the system offers fully secure, “always on” communication and complete protection. What Wireless Means for You. 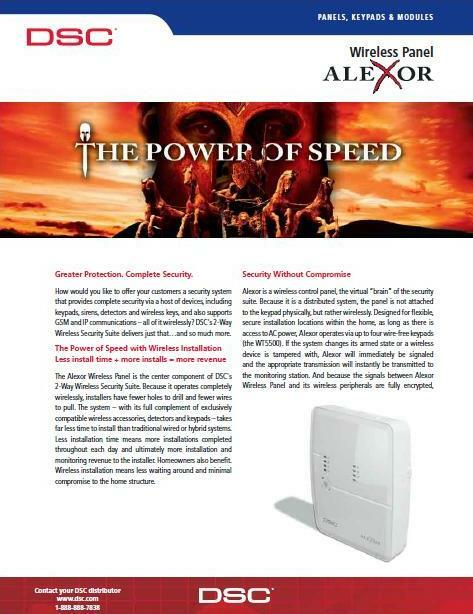 Because the system is wireless, it installs quickly with minimal compromise to your home structure. Faster, easier installation means less installer time in your home as well – so you can get on with the business of your day. Contemporary Design Blends Into Décor. With a sleek and contemporary look, the security devices project a modern feel and at the same time, inconspicuously blend into your home décor. Control your System with Confidence. 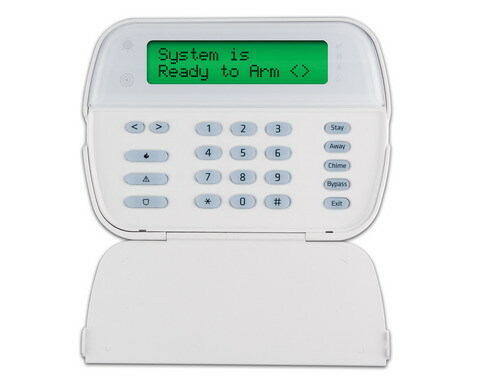 Through the compact and sleek keypad, you control your security system. With easy to use one-touch keys, all family members can use the system with complete confidence. Handy wall or free-standing desk stand options give you more choice in where keypads may be located throughout the home. The Highest Level of Protection Available. Some security devices (called wireless contacts) are installed on your windows and doors to monitor those entry points. Other types of devices are installed in different areas of your home as well. These motion detectors will detect movement within the home (without detecting pets), breaking glass on windows, carbon monoxide presence, smoke or fire, and flooding. When used with a monitoring service, all devices are monitored to ensure your family and your home is protected at all times. It is truly the highest level of protection available. Instant Connection, With Back-Up, to Emergency Response. When an alarm occurs, a monitored Security System instantly connects to a monitoring station and emergency services are dispatched as required. The system sends the alarm transmission over the phone line, or as installed by your security professional, also by either Internet or GSM/GPRS channels (the same communication method as your mobile phone). These back-up methods ensure that you are never out of contact. The solution is perfect for homes which may have opted out of the traditional phone line, for a mobile phone or Voice Over IP phone. Sounding the Alarm. In the event of an alarm trigger, the Security System will let you, your family and surrounding neighbors know through the indoor and/or outdoor siren (the outdoor siren is completely optional). The indoor siren announces signs of trouble from within the home. The (optional) outdoor siren makes known any unwanted entrance to property and indicates it with the accompanying strobe light. 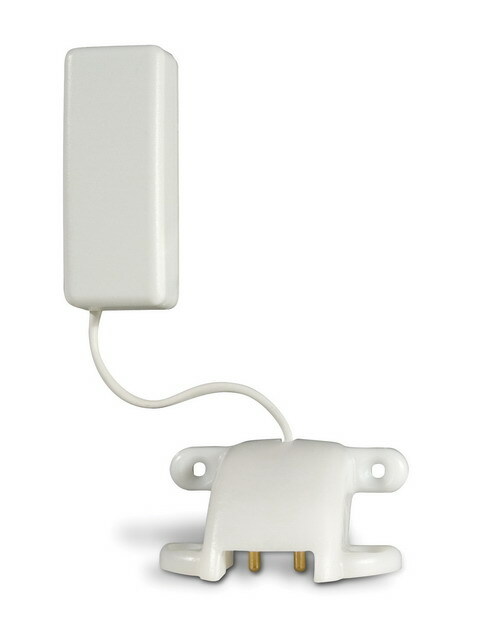 The outdoor siren’s temperature sensor can also communicate the outdoor temperature to the keypad inside your home! Simple Operation at the Touch of a Button. No more fumbling at the door with armfuls of packages or worries about remembering security codes. The wireless key provides you with easy management of your security system, information regarding the status of your system and the added confidence of portable personal protection – at your fingertips. You can arm or disarm your system easily as you approach your house or call for help from anywhere inside or in close proximity to it. The system can also be managed with a proximity sensor, or “prox” tag. 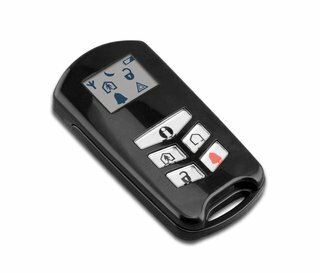 With the prox tag, simply swipe the tag across the front of the keypad and the system is either armed or disarmed. It’s that easy. Someone to Watch Over You. Your new security system installed by McCurdy Electric keeps watch, providing you and your family with complete protection and peace of mind. You can rest easy, knowing that your system will protect what you value the most – your family, your home and your possessions. A number of other great accessories can be added to enhance your protection, such as flood sensors and smoke detectors. Please contact us for complete details, or for a completely free estimate. McCurdy Electric offers complete alarm monitoring services, starting at just $18.95 per month! We also have alarm solutions for commercial applications as well, not just for your home. Contact us now for a custom-designed system! McCurdy Electric is your source for intrusion and burglar alarm systems and alarm system monitoring. We are proud to serve our neighbors in Metro Boston, Eastern Massachusetts, and New Hampshire. Our service areas include, but are not limited to, the following communities: Beverly, Salem, Boxford, Danvers, Middleton, North Andover, Woburn, Peabody, Ipswich, Marblehead, and Manchester, MA.